A leading South Korean biochemistry researcher believes graphene oxide ― oxidized sheets of carbon atoms ― will eventually play a key role in conquering hepatitis C, cancer and genetic diseases. This is mainly because graphene oxide can bind to DNA and RNA molecules and go through cell membranes― making it more convenient for medical uses. 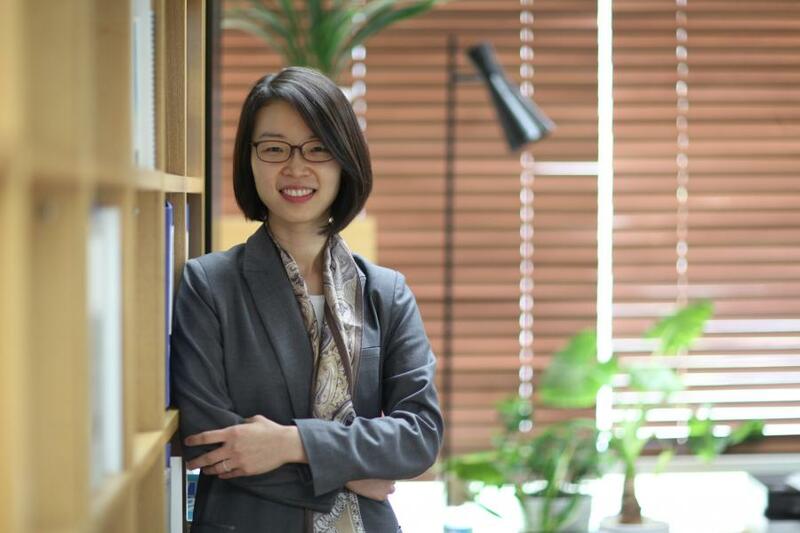 “Utilizing graphene oxide in detecting, monitoring and treating hepatitis C is a new approach that would help make a breakthrough in developing drugs for ultimately overcoming the disease,” said Min Dal-hee, associate professor at the chemistry department of Seoul National University. Biosensors that make use of graphene oxide can monitor biomarkers, or molecules such as microRNA, whose abnormal expression is related to the cause of illnesses such as cancer and diabetes. The biosensors developed by the professor and her research team at SNU enable researchers to detect the activity of helicase, an enzyme that is currently seen to be the main actor in the hepatitis C disease. Around 130 million to 150 million people around the world are chronically affected by hepatitis C, according to figures from the World Health Organization. “More research will be conducted around the world regarding the universal use of graphene oxide for various medical purposes,” Min said. Graphene oxide can also be used as a delivery system to carry drugs to carcinogenic targets. Meanwhile, as a word of advice for female researchers who often face obstacles in continuing their careers due to the largely male-dominant research environment here, the professor cited passion and persistence as the keys for overcoming the adversities. Min was this year’s recipient of the 2014 Korea L’Oreal-UNESCO Awards for Women in Life Science Research. The professor also received the best paper award from the Korean-American Scientists and Engineers Association in 2013, and the KCS-Wiley Young Chemist Award from the Korean Chemical Society and John Wiley & Sons in 2012.